Puerto Rico is once again being shortchanged by the federal government. The U.S. Navy must provide compensation for risking the health of the people of Vieques. For 60 years, the Navy used Vieques to test military weapons and dabble with heavy metals. This contaminated the flora and fauna of the island municipality and damaged the health of thousands of its residents. The level of cancer incidence in Vieques is 30 percent higher than the cancer rate on the main island, according to Puerto Rico’s health department. Yet the Navy has failed to take full responsibility for the havoc it caused in Vieques, even though multiple independent studies show the effects of its decades of shelling. 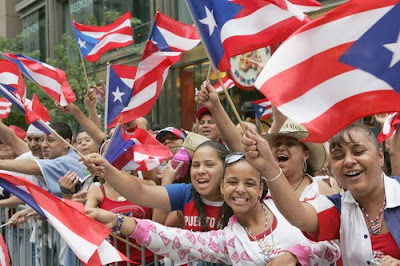 The people of Vieques, who like all Puerto Ricans are U.S. citizens, filed suit against the Navy and federal government. But the government’s reaction was to claim sovereign immunity to evade the class action lawsuit. This flies in the face of the outcome to similar situations. The federal government did not claim immunity when two wealthy Virginia communities file and won a million dollar lawsuit in 2007 against the Navy for the noise pollution caused by jets flying over the area. The claim of sovereign immunity also appears to pre-empt the outcome of another federal move. Several months ago, the Agency for Toxic Substances and Diseases Registration (ATDSR) reversed a prior conclusion that contamination at the Navy’s training ground in Vieques posed no health risks to residents. The ATDSR has re-initiated an investigation into the health hazards there. Parts of Vieques are designated as a federal toxic cleanup site. But this does not address the question of medical care for the disproportionate rate of illnesses Viequenses are suffering. Instead, the message that the Navy and federal government are sending is that they will continue to ignore or avoid accountability for the damage to the health of Viequenses. This is unacceptable. The ATDSR must accelerate its study of Vieques. But public pressure must once again mount, as it successfully did to close the Naval base in Vieques, to ensure that Viequenses are not left at the wayside. 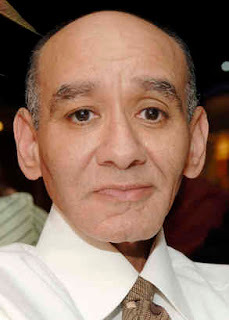 Philly's Juan Antonio "Tony" Leon Jr.: R.I.P. IT TOOK demonstrations, political pressure and perseverance for Latinos to break into the mainstream media in Philadelphia. There were no Latinos either in front of or behind the TV cameras, despite the fact that Philadelphia had a large and thriving Latino population. Latino news rarely got reported, either on the air or in the local newspapers. Juan Antonio "Tony" Leon Jr. and a few other activists set about to change that. In the late '60s they protested outside television stations, charging employment discrimination, and negotiated with station officials for jobs. "That small knock on their door opened the door for a few of us to be hired at WPVI," Tony wrote in a reminiscence last July. He went on to become a highly regarded cameraman, documentarian, producer and editor - first for WPVI-TV, Channel 6, and later for KYW-TV, Channel 3 - as well as a dedicated activist in the Latino community. He died Thursday after a long fight against cancer. He was 56 and lived in Fishtown.